Half of Israeli Jews say there is absolutely no chance for a peace deal with the PA in the foreseeable future. A majority of Israeli Jews believe it would be impossible for Israel to reach a peace deal with the Palestinian Authority anytime in the foreseeable future, a new poll shows. According to a survey published by Channel 2 Monday, despite President Donald Trump’s pledge to bring the two sides together for negotiations, there is little optimism regarding the possibility of a final status agreement between Israel and the Palestinian Authority. A full 50% of Israeli Jews say there is absolutely no chance of a peace deal between Israel and the PA in the foreseeable future, compared to just 3% who say the chances for such an agreement are good. 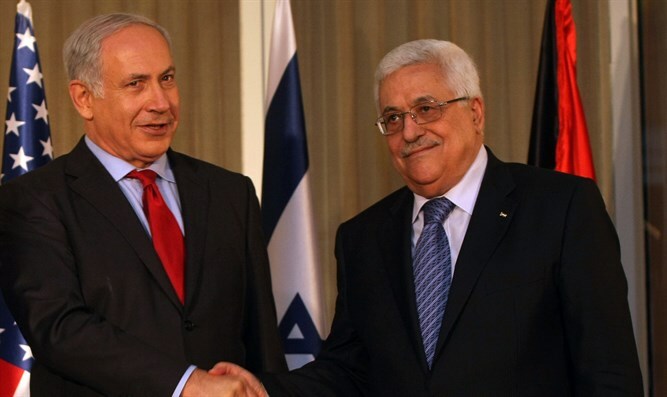 Forty-six percent of Israeli Jews said a peace deal was possible with the PA - but was unlikely to be reached. National Religious Jews were the most skeptical about the prospects for a peace agreement, with 71% saying there was absolutely no chance, while 69% of haredi Jews agreed the odds of such a deal being brokered were nil. Self-identified left-wingers were the most likely to believe peace is possible, but even among them only 11% say it is likely, compared to 19% who believe there is no chance for a deal. The poll also shows that younger respondents were the least likely to believe in the possibility of a peace deal, while respondents over the age of 45 were the most likely to believe there was a chance for an agreement. Israeli Arabs also expressed skepticism over the possibility of a peace deal, with 41% saying there was no chance whatsoever of a deal, just 21% who said it was possible but unlikely, and 8% who said the odds for a deal were good. Thirty percent had no response. Residents of the Palestinian Authority were the most likely to say a peace deal was possible, with just 35% saying there were no chances whatsoever for a deal, 44% who believe a deal is possible but unlikely, and 15% who say a deal is likely to be reached. The survey was conducted from the 21st to the 26th of May, and included a sample of 1,298 respondents including 604 Jewish Israelis, 150 Arab Israelis, 331 Arab residents of Judea and Samaria, and 213 residents of the Hamas-ruled Gaza Strip.